I’m just going to come right out and say it: Columbus Day is stupid. So instead of celebrating a genocidal maniac, here — have a few Columbus Day alternatives. They’re probably going to be way more fun, and they’re considerably less fraught. Everybody wins! Although Columbus Day became a federal holiday in the United States in 1937, not all cities and states celebrate it; indeed, a lot of them don’t even recognize it, although a few continue to mark the day with an alternative observance: Hawaii, for example, celebrates Discoverers Day, commemorating the state’s Polynesian discoverers; furthermore, the city of Berkley, California has swapped it out in favor of Indigenous People’s Day (more on that in a bit). I think these holiday replacements are onto something, so I’ve assembled a list of 10 possible alternatives to Columbus Day. Some of them actually exist; some of them are days I think should be holidays, but aren’t yet; and some of them are just goofy facts. Either way, they’re definitely worth it, even if we don’t get the day off for them. Teddy bears, M&M’s, and awesome fictional characters trump Columbus every time. There are actually a few days we might count as Paddington Bear Day. For example, creator Michael Bond first spotted a lonely little teddy bear sitting on a shelf at a store near London’s Paddington Station on Christmas Eve, 1956; he bought it for his wife and then wrote the story that would become A Bear Called Paddington. The story was first published on October 13, 1958, though, so I think today is also an acceptable choice for Paddington Bear Day. 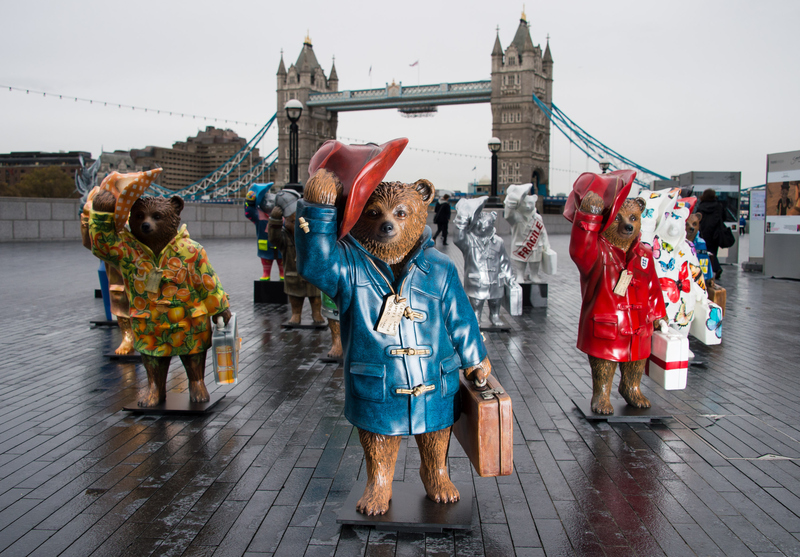 Find out more fun facts about Paddington you probably didn’t know over at The Telegraph. Cheerio! Greenwich Mean Time — that is, the time standard based on the Prime Meridian at Greenwich, U.K. — was first established on October 13 in 1884. It’s undergone a few changes since then, becoming Universal Time in 1928 and Coordinated Universal Time in 1972; it does, however, mark the beginning of time zones as we know it. Worth celebrating, no? Things that I find absolutely hilarious include the fact that this year, both Columbus Day and International Skeptics Day fall on October 13. For those of you who aren’t convinced we should really be celebrating Christopher Columbus in the first place (because let’s face it: Columbus was a dirtbag), let’s spend the day questioning other commonly held beliefs instead. Edward Albee’s play Who’s Afraid of Virginia Woolf? opened on Broadway on October 13, 1962. Starring the late, great Uta Hagen as Martha — the role that Elizabeth Taylor would own a few years later on film — it introduced the “game” called Get the Guests to the world at large. I wouldn’t recommend actually playing Get the Guests, because, well, there’s no way baiting your guests and destroying their lives is going to end well…but you can at least celebrate by watching the movie. Like Columbus Day, Canadian Thanksgiving is celebrated on the second Monday in October. But as Vox points out, unlike Columbus Day, Canadian Thanksgiving is significantly less devoted to celebrating genocide. I think Canada wins this round. Star Trek: The Next Generation’s Dr. Beverly Crusher was — or perhaps more accurately, will be — born on October 13, 2324. Sure, she’s a fictional character, but she was all kinds of awesome. As Zack Handlen wrote over at The A.V. Club a few years ago, she could have been utilized a little better by the show’s writers…but a kickass, supersmart doctor lady was definitely still a welcome addition to the series. She’s the reason my younger self wanted to be a doctor when I grew up. Later on I realized I was awful with science, but oh well. She was still a fabulous inspiration for those who were a little more scientifically inclined than I was. I don’t know about you, but I would much rather celebrate delicious chocolate candies that melt in your mouth, not in your hand. I’m not exactly sure how the holiday got started, or even whether it’s officially sanctioned by Mars, Inc. — but eh. Whatever. Here, have the best ever M&M’s cookie recipe, courtesy of Brown Eyed Baker. Not to be confused with the regular Farmers' Almanac, the first edition of the Old Farmer’s Almanac was published on October 13, 1792. Best known for its weather predictions, it’s been published continuously since then, making it the oldest continuously published periodical in North America. Hear, hear! Here’s an idea: Instead of celebrating the hostile takeover of indigenous peoples, let’s celebrate the indigenous peoples themselves. These cities are doing it — and they’re definitely doing it right.